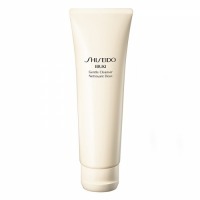 Ultragentle foaming cleanser Shiseido iBUKI. Soft, delicate and a little goes a long way. Hello everyone, I have two common cleansers and one more from Payout, which I thought was perfect, but I still can’t stop looking for something even better. After I ran out of the Payout foam, I went to the shop in search of a new cleanser. I bought it after all those rave reviews...I should have ordered samples first! Squeaky clean skin after washing! The perfect Korean cleansing foam for oily and combination skin type. I’m obsessed!